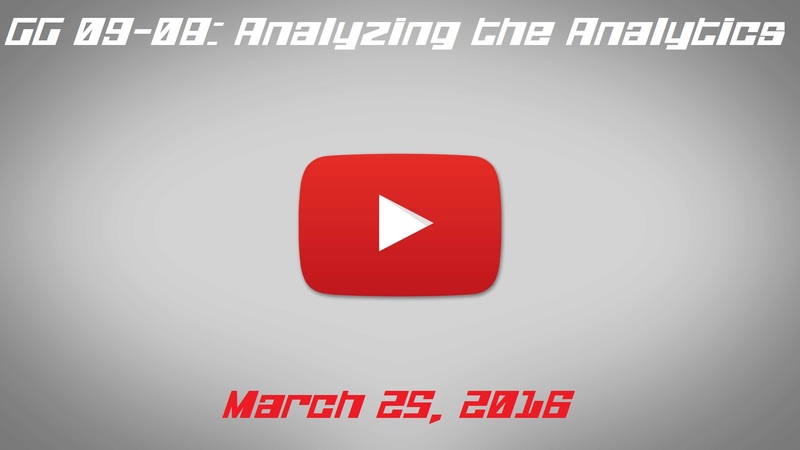 It seems like YouTube, Twitch, and the whole analytics game has been a pretty frequent theme for this podcast for a while now, especially insofar as Jeremy and I are concerned. This is probably because both of us work hard on our YouTube channels, and so we both care (to varying degrees) about what works and what doesn’t. In this episode of the show, we decide to spend some time talking about the numbers game on YouTube and the dilemma that most new and up-and-coming channels are faced with: whether the rewards merit all the effort. The thing is, YouTube and the live-streaming markets both have changed considerably since the early days. Back in the late-2000s, the idea of “Let’s Play” videos was a very new and novel thing and there weren’t a lot of people that were doing them. For those who stuck with it and made an effort to produce new, exciting, fun, and funny content, it was a bit easier to watch their channel soar. Back then, you had a lot less competition -and less legalese getting tossed at you – so getting your work out to your audience wasn’t nearly as hard as it is today. Now, with the vast array of channels out there, it’s easy to face the question of “Why bother making yet another Final Fantasy 7 video…it’s already been done to death.” It’s hard to come up with stuff that hasn’t been beaten into the ground already, and even if you’re very passionate about a game, it’s possible (very likely, in fact) that a bunch of people have already come through and covered it. So, does that mean you should focus on the latest-and-greatest instead? Does that mean you should dig deep and find under-appreciated gems? Should you focus only on the indie and fan-gaming scenes? Ultimately, we think that you should do what makes you happy and what you enjoy, but we also talk about what we think might need to be taken into consideration when it comes to growing a channel in the current climate. As always, you can keep up with the podcast on iTunes by subscribing, and of course you can get the MP3 directly at any time here.